Have a furry friend you love? Grab your friends, pop open a bottle of wine, and paint your four-legged (or winged!) pal. We provide everything you need to create an adorable 12” x 16” work of art you’ll cherish forever. How can it be so easy? 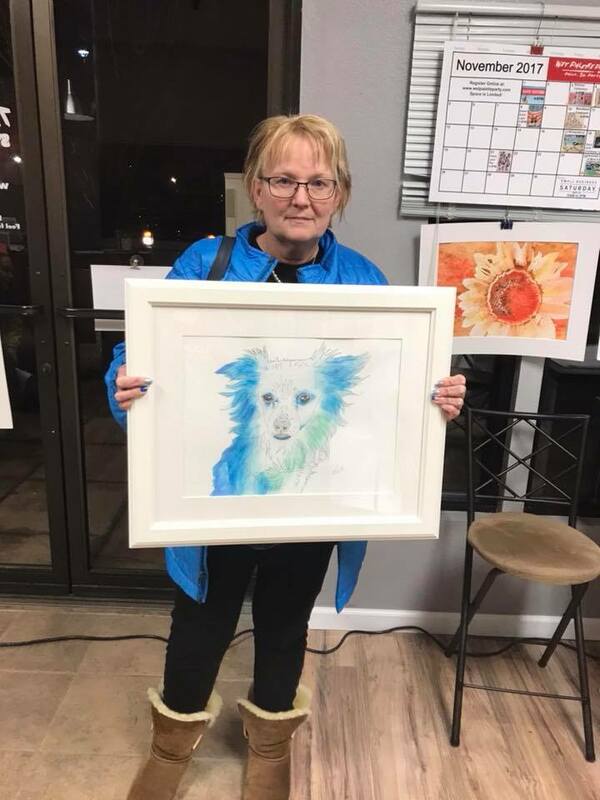 (You might be asking) Well, Becky (our talented teaching artist ) will design and prep your watercolor paper with a drawing of your pet based on the a photo. All you need to do is submit 3 non-blurry, well-lit, close-up (mainly head and shoulders) photos of your pet. She will then choose the best one and get your canvas prepped for you. It's that simple... you get to do the fun part... paint your masterpiece! At the Paint Party she and her assistants will guide you step-by-step using our unique watercolor process and techniques to paint your pet using a stylistic non-realistic color palette of your choice. 5:00pm - 9pm If it takes longer or you feel you need more time you can stay longer (we wont kick you out). This party MUST be preregistered. REGISTRATION DEADLINE: June 5th NO EXCEPTIONS!!! THEN: Email beckybrice@me.com with 3 (yes 3) close ups of your 'one' pet (dog, cat, hamster, bird, etc) Please title your email "Paint your Pet Party" in the subject area. PHOTO SUBMISSION DEADLINE: 3 photos via email by June 6th. NO EXCEPTIONS!! !